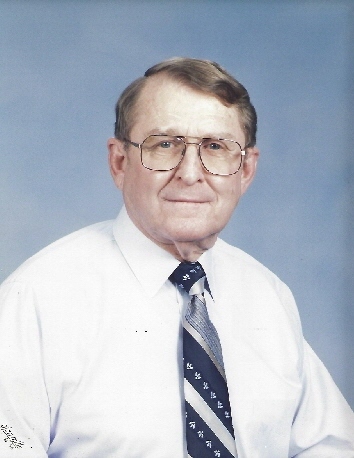 Mr. Raymond Leonard Colley, 97, of Lake City, passed away peacefully on Wednesday afternoon, January 23, 2019, at the Haven-Suwannee Valley Hospice Care Center after a brief illness. He was born in Waycross, Georgia on November 25, 1921, to the late Alonzo C. and Josephine Corbitt Colley. He has made Lake City his home since 1940 and was a Civil Engineer with the Florida Department of Transportation for many years. He was a US Navy, World War II veteran and was a member of the Bethel United Methodist Church. In his spare time, he enjoyed mowing his yard, woodworking, and fishing. He is preceded in death by his loving wife, Louise Bedenbaugh Colley; infant son, Cary Leonard Colley; brothers: Newborn Colley, J.D. Colley, J.R. Colley, and Emory Colley; sisters: Beatrice Landrum, Audrey Guess, and Josephine Sites Hall; son-in-law & fishing buddy, Jimmy Melton and son-in-law, Ray Miller. He is survived by his loving daughters: Carolyn Miller and Suzanne Melton; grandchildren: Bart (Rhonda) Miller, Brett Miller, Keri (John) Melton Siler and Alan Melton; great-grandchildren: Ethan & Emily Melton, Garet Miller, Hayden & Alexander Siler; close friends: Morris and Linda Sue Felder also survive. Funeral services for Mr. Colley will be conducted on Monday, January 28, 2019, at 11:00 A.M. in the Gateway-Forest Lawn Memorial Chapel with Rev. Ben Richards and Pastor Bill Campbell officiating. Interment will follow in Bethel Cemetery. The family will receive friends from 10:00-11:00 A.M. (one hour prior to the service) at the funeral home. In lieu of flowers, the family asks that donations be considered to the Bethel Cemetery Fund, 701 SW Wester Dr., Lake City, FL 32024.